I created these addition tests for my students to practice their addition fluency. There are 6 total pages with 64 problems on each page. Every Friday, my students get 3 minutes to get as many problems correct as they can. 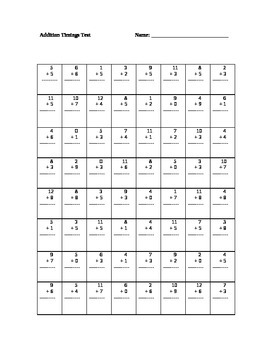 The hope to have my 2nd graders know 40-50 addition facts by the time they enter 3rd grade. Can also be used for a center activity or for early finishers!